Life is full of moments worth remembering, but they don't always happen in ideal picture taking conditions—a dimly lit restaurant, a distant sport field, a bumpy historic train ride and so much more. Fortunately, the COOLPIX L620 offers clear advantages for capturing those elusive moments. Its ergonomic design with a comfortable grip, outstanding 14x zoom NIKKOR glass lens and large 3" LCD make it easy to frame the ideal shot, even when it's far in the distance. Just bring your subject into view and let target-finding AF lock on and provide focus right where you want it. A little camera shake is no problem—lens-shift Vibration Reduction keeps photos and Full HD 1080p videos sharper and steadier. And since the COOLPIX L620 uses an advanced CMOS image sensor, you often won't even need to use the flash in low-light situations. For every moment that matters, the COOLPIX L620 is ready. 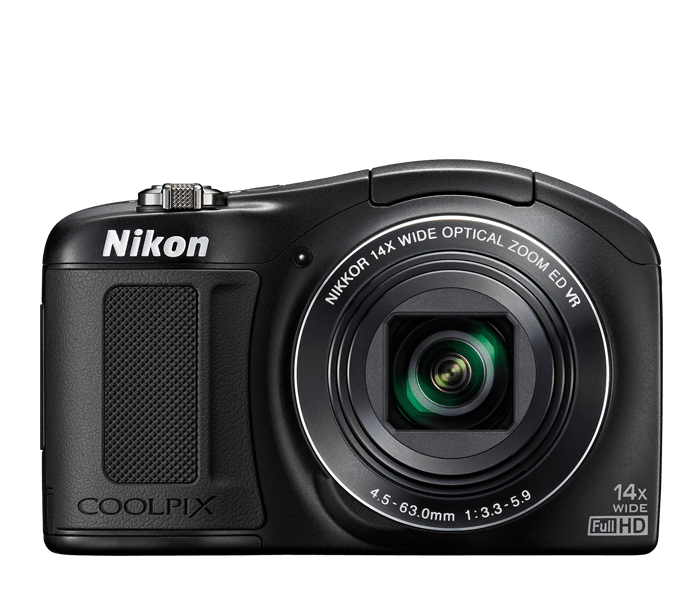 The COOLPIX L620 is so easy to use, anyone can take great photos and videos with it. Just turn the camera on, point, shoot and marvel at the results. For maximum point-and-shoot convenience, select Easy Auto Mode. It automatically optimizes the camera settings for each shot, no matter how challenging the situation. You'll be free to enjoy the moment while you capture it. If you want a compact camera that shoots stunning Full HD videos, the COOLPIX L620 delivers. Full HD 1080p means great video quality. Record the action, then connect to an HDTV* and watch your videos come alive. A built-in mic records high-quality audio in stereo. Your videos will look and sound phenomenal. Lens-shift Vibration Reduction ensures all of your photos and videos are steady, even if your hands are not. Say goodbye to blurry photos, shaky videos and tripods. Create truly exceptional photos and Full HD videos in nearly any light. An 18.1-megapixel CMOS low-light image sensor delivers superior image quality, versatility and low-light performance. Easily match your situation to one of 18 Scene Modes like Beach, Snow, Night Portrait, Sunset and enjoy effortless great shots. Or, choose Easy Auto Mode and let the camera choose for you.